Spring is one of my absolute favorite seasons. Everything seems to come to life, with the birds chirping and flowers blooming, I cannot help but want to be outside every waking moment to soak it all in. I always have a bundle of flowers in a vase during Spring for just that purpose, to bring the outside in. I am loving the edible arrangement trend going around and with the tulips at their peak, I could not resist recreating one for myself. 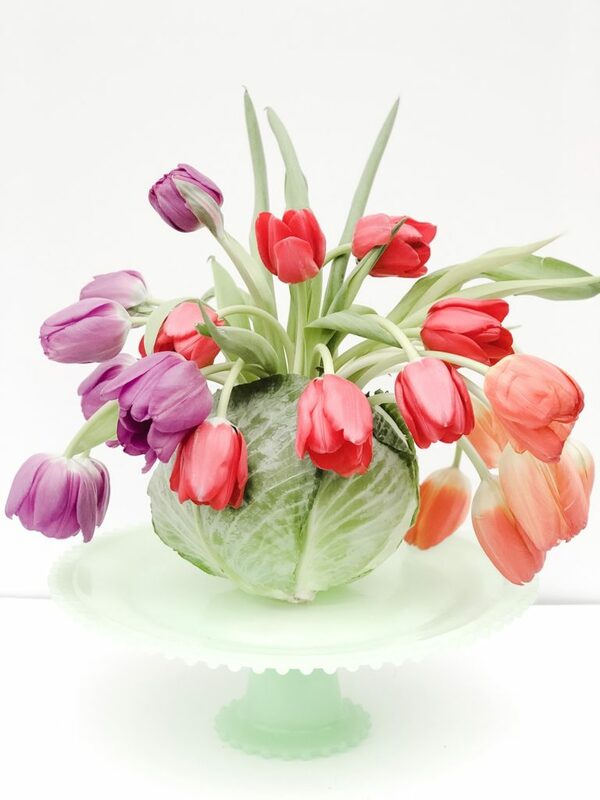 How gorgeous would this spring garden arrangement be as the centerpiece for your Easter table or garden party? The simplicity and bright colors say it all. 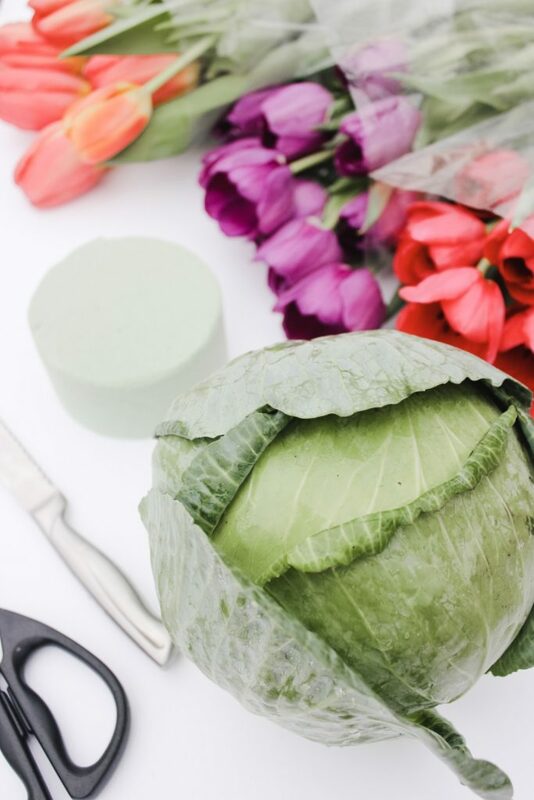 Begin by soaking your floral foam in water while you prep your cabbage vase. 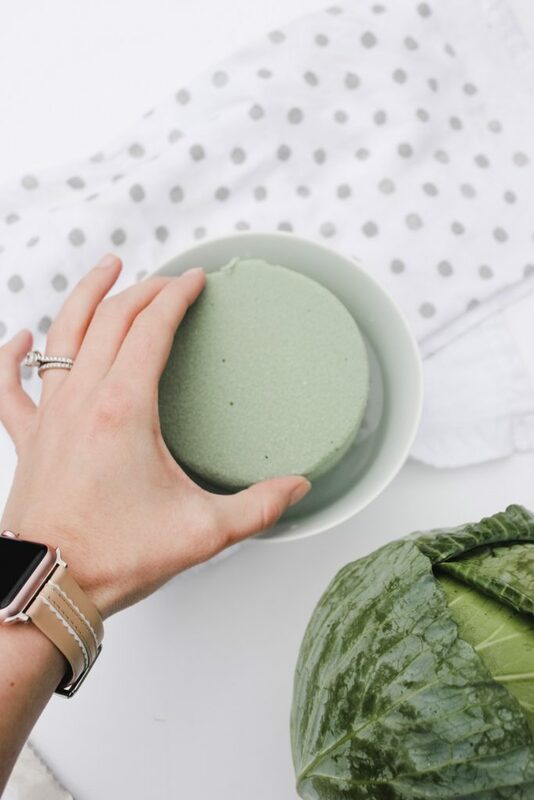 With a sharp knife, cut a circle the size of the foam floral in the top of your cabbage head and cut the excess material to make the hole deep enough for the foam to sit level. 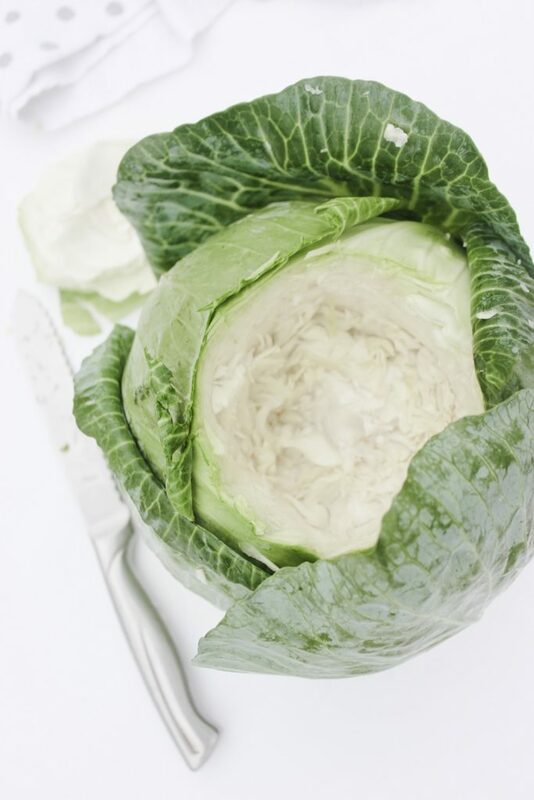 Once your foam is full of water, place within the hole you formed in the cabbage head. You may need to trim a tad off of the foam to fit just right. Then the fun part begins! 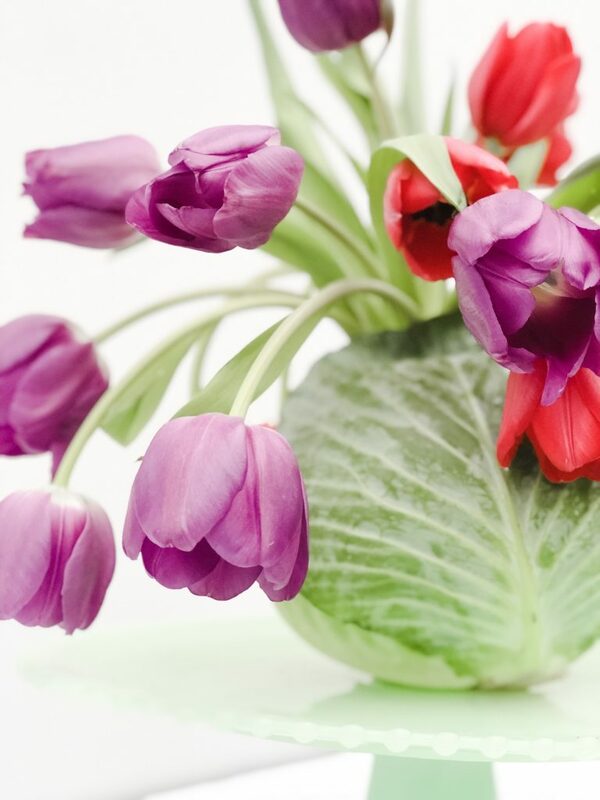 Trim your tulips to the desired length at an angle and begin arranging by sticking them into the floral foam. I decided to arrange my tulips by color. Once your foam is full of beautiful blooms, place your garden arrangement on a pretty plate to display. Be sure to add a little water to the foam every other day, or when it feels dry.